For most people, pets are not just a fad. Children, especially, consider pets to be one of their own. And in return, they get unconditional love and adoration. But that’s not all! Researchers have proven that there is a plethora of benefits of raising kids in a home that has pets. Here, we tell you about the top ten benefits of bringing up kids around pets. Finland’s Kuopio University Hospital has reported that babies who grew up with dogs, especially in the first year of their lives, are less like to get respiratory illnesses as compared to babies who lived in non-pet environments. Furthermore, children who grow up with dogs around are 50% less likely to develop asthma and allergies than those who live without pets. It’s probably because dogs spread some germs, making the immune system of the babies stronger as they grow up. Gain self-confidence? Perhaps it’s the unconditional love a pet offers a child, but it could be even more practical than that. Children, no matter what age, often get self-conscious when they have to read, recite or perform in front of an audience. Before reciting to others, encourage your child to recite their piece or read or sing to their pet. Coaches often recommend such performance in front of a mirror, but a pet can be an even better way to instill a sense of confidence, which works wonders for their reading. Kids these days are so occupied with their phones and computers that they rarely go out to get fresh air. But this won’t be a problem with pets around. Most of the pets, especially dogs, are great companions for physical activities. They need regular activity, which means even your child won’t sit still for long. Even simple activities like playing with ropes and balls in the backyard or walking around the neighborhood help keep your children fit and healthy. Researchers at the University of Montreal have revealed that the stress levels in kids with autism reduce dramatically when they are living with a trained service dog. Scientists are still researching this, but no one can argue that animal therapy can help autistic children incredibly. Animals are nonjudgmental and love unconditionally, which helps children who are lonely, dealing with sibling rivalry or are going through emotional distress. Pets act as silent therapists to these kids, allowing them to vent their feelings. Pets support, comfort and listen to the troubles and turmoil of the children, without judging or criticizing. They may not respond verbally but show that they care by nuzzling, whining, or barking. And when they play, the pet becomes your child’s best buddy and partner. 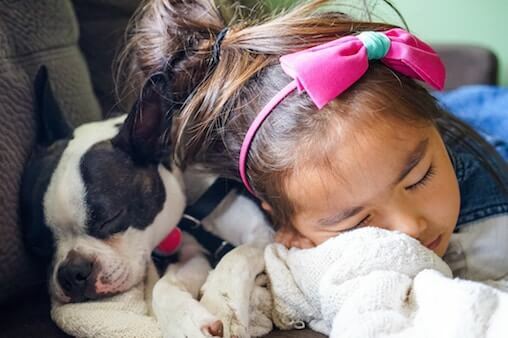 Caring for someone who is completely or even partially dependent on you teaches empathy, and that’s precisely what kids learn when they are around pets. Over time, children learn to read the needs of their pets and provide for them without being told. Children often turn into bullies when they are unable to share their feelings in a safe space. Bullies project those unexpressed emotions onto other kids. A pet can give kids a confidante – someone they can pour out their fears and anger to, thereby preventing them from bullying other kids. If you want kids to grow up into mature individuals, get them a pet. Children gain confidence by taking responsibility and caring for their pets. Even young kids of three or four can easily manage simple tasks such as filling the food bowls or water bowls of pets. As your child grows older, he will even learn to groom and walk the pet. We’ve seen kids as young as two, who are still learning to talk, attempt to chatter with their animal buddies. This doesn’t just give them the much required emotional and social support but also helps develop cognitive language skill. Even the presence of the pet gives verbal stimulus, which helps children socialize. Having a pet in the house is quite a lot like having another family member, which helps siblings come close together through the common love for the pet. They often share responsibilities and set their rivalry aside. Over time, even siblings grow close to each other. So, if your children or your grandchildren have been insisting on getting a dog or cat or any other pet, please let them have one in the family. You’ll be amazed to see how the animals can change their life for better. 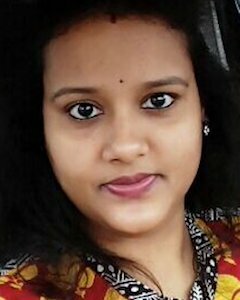 Aradhana Pandey is a regular contributor to popular sites like Huffington Post, Natural news, Elephant journal, Thehealthsite, Naturally Savvy, Curejoy and MomJunction.com, Aradhana writes to inspire and motivate people to adopt healthy habits and live a stress-free lifestyle.